Jayalalithaa, Tamil Nadu Chief Minister, passed away at the Apollo Hospitals. AIADMK’s official Twitter handle put out, “Our beloved leader, The Iron Lady of India Puratchi Thalaivi Amma is no more.” Jayalalithaa suffered a cardiac arrest last evening, following which she was put on extracorporeal membrane heart assist device. The 68-year-old AIADMK supremo was admitted on September 22 after she had complained of fever and dehydration. An AIIMS team, comprising Dr G Khilnani, Professor, Department of Pulmonology Medicine, Dr Anjan Trikha, Professor of Anaesthesiology and Critical Care and Dr Nitish Nayak, Professor, Department of Cardiology, had been visiting the Apollo Hospitals regularly ever since. Jayalalithaa, Tamil Nadu Chief Minister, passed away at the Apollo Hospitals. AIADMK's official Twitter handle put out, "Our beloved leader, The Iron Lady of India Puratchi Thalaivi Amma is no more." Our beloved leader, The Iron Lady of India Puratchi Thalaivi Amma is no more. Jayalalithaa has been receiving treatment at the hospital since September 22. She made a brief statement after AIADMK won the recently concluded bypolls. Senior AIADMK leader O Panneerselvam chaired a meeting of party MLAs at the AIADMK headquarters in Royapettah. The MLAs reportedly gathered to ratify a succession plan. Tamil Nadu Speaker Dhanapal is expected to meet Governor Vidyasagar Rao. handle put out, & Our beloved leader, The Iron Lady of India Puratchi Thalaivi Amma is no more. 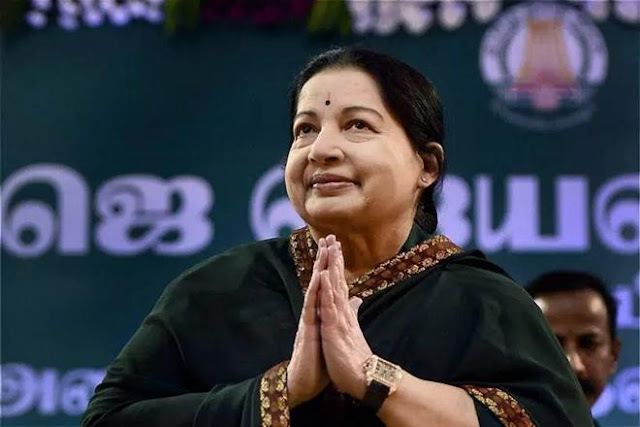 0 Response to "Jayalalithaa, Tamil Nadu Chief Minister, passes away at the age of 68"